Written By: Lynmar Brock Jr. When the Germans invade Belgium in 1940, chemistry professor André Sauverin fears the worst. His colleagues believe their social and political positions will protect them during the occupation, but André knows better. He has watched Hitler's rise to power and knows the Nazis will do anything to destroy their enemies. For the Sauverins are Jews, non-practicing, yes, but that won't matter to the Germans - or to the Belgians desperate to protect themselves by informing on their neighbors. And so André and his brother Alex take their parents, wives, and children and flee south. But when France falls to the Nazis, the refugees are caught in a rural farming community where their only hope for survival is to blend in with the locals. Fortunately, the Sauverins have come to Huguenot country, settled by victims of religious persecution who risk their own lives to protect the Jewish refugees and defy the pro-Nazi government. And as the displaced family grows to love their new neighbors, André and Alex join forces with the French Resistance to help protect them. 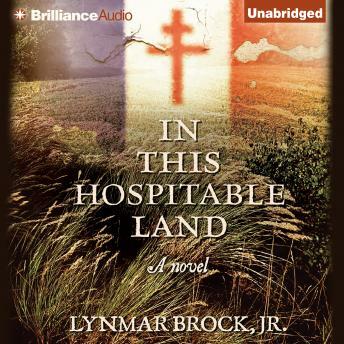 Based on one family's harrowing true story of survival, In This Hospitable Land is an inspirational novel about courage and the search for home in the midst of chaos.